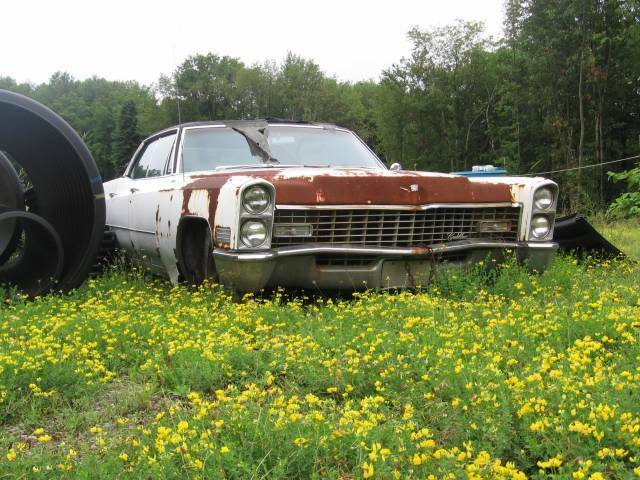 Rusty Old 4 Door Caddy Photo Picture Classic Cars for sale & Classifieds - Buy Sell Classic Car & Classic Truck Classifieds. An old Cadillac that could use a new vinyl top. These things are awesome fixed up. Buddy has a hearse from the mid 70s and nothing drives like the old big Caddys from the 60s and 70s. The 500 cube engine is a stump puller and needs to be to haul all that iron around.